LOS ANGELES (CelebrityAccess) — Live Nation Entertainment and Maverick announced that veteran talent manager Lee Anne Callahan-Longo has joined the company. Callahan-Longo joins Maverick after a stint as Executive Vice President and General Manager of Beyoncé’s Parkwood Entertainment. Other experience in her extensive career includes artist management, radio/video promotion, radio marketing, and production. At Parkwood Entertainment, Callahan-Longo oversaw the company’s growth from inception to its current operation, including all business activities, partnerships, and philanthropic endeavors. During her time at Parkwood, she oversaw three world tours, the 2013 Super Bowl performance, the production of music videos and feature films, as well as spearheading all single and album releases for the artist, including the self-titled BEYONCÉ “visual” album, whose ground-breaking release strategy received renowned global coverage and went on to become Beyoncé’s fastest selling album. 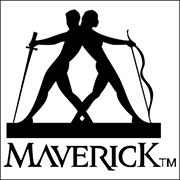 "I am excited to join the team at Maverick! The team is an innovative and collaborative collective that represents some of the most talented artists in the world,” said Callahan-Longo. “Working together, we all have access to new ideas and are well poised to maximize opportunities. I’m looking forward to building my business and contributing to the collective for years to come."